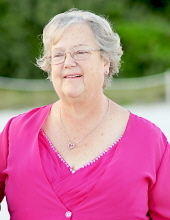 Jane L. (Strack) Bauser, 67, of Wrentham, MA, passed away at her home on Wednesday, January 16, 2019. She was the loving wife of William W. Bauser for over 40 years. Born on February 19, 1951, she was the daughter of the late Noah and Janet (Crocker) Strack of Foxborough. She attended Foxborough High School and was a graduate of Plymouth State University. A school teacher at Burrell Elementary in Foxborough, Jane devoted her life to the education of children. Jane loved many animals, especially her basset hounds and granddog, Presley. She played piano, flute and enjoyed all music, particularly show tunes and the Beatles. Jane is survived by her husband William W. Bauser; her son, William N. Bauser and his wife Kristen S. Verdeaux of Dedham; and her sister Susan F. Strack of Norton. A memorial service will be held in the springtime and is entrusted to the Roberts and Sons Funeral Home of Foxborough. For additional information, please contact 508-543-5471. If you wish to send an online condolence, please visit https://www.robertsandsonsfuneralhome.com/. In lieu of flowers, donations in Jane’s memory may be made to the MSPCA-Angell by visiting https://www.mspca.org/donate-now/tribute-honor-and-memorial-giving/ or by mail to MSPCA-Angell, Attn: Donations, 350 South Huntington Ave., Boston, MA 02130. "Email Address" would like to share the life celebration of Jane L. Bauser. Click on the "link" to go to share a favorite memory or leave a condolence message for the family.